Measures 4" overall. Four sharpeners in one. 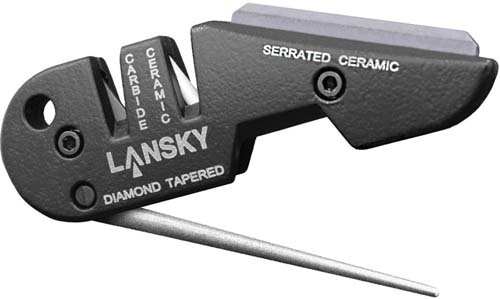 Includes tungsten carbide sharpener, ceramic rods, serrated blade sharpener and diamond tapered rod. Lanyard hole.